Lawrence + Memorial Hospital in New London. Over the objections of unions opposed to a further consolidation of the hospital industry, state health regulators Thursday approved an affiliation agreement that makes Yale New Haven Health Services Corporation the owner of the struggling Lawrence + Memorial Hospital in New London. The approval comes a day after Gov. Dannel P. Malloy modified an executive order imposing a moratorium on hospital consolidations. L + M posted operating losses in each of the past four years: $7.4 million in fiscal 2013, $18.7 million in 2014, $10.3 million in 2015 and $14 million so far in 2016. Its bond rating was downgraded by Standard & Poor’s and Fitch. Yale says it plans $163 million in capital improvements at L + M as part of as much as $300 million in investments in the hospital’s service area, depending on community need. L + M joins Greenwich and Bridgeport hospitals as the third hospital to be owned by the parent of Yale-New Haven Hospital, part of a rapid consolidation of hospitals in Connecticut. As an affiliation, the deal involved no purchase price. The L + M board will retain direct management of L + M, a 280-bed acute care hospital and its subsidiary, Westerly Hospital of Westerly, R.I., “subject to certain rights…with respect to fundamental strategic, financial and governance matters,” according to the decision by the Office of Health Care Access. In its application for approval of the deal, the Yale system and L+M Corporation said the new ownership would give patients access to more providers and provide more cost-effective services in L+M service area centered on Groton, New London, Waterford, East Lyme and Ledyard. 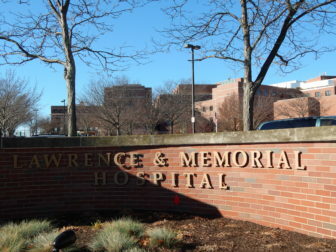 “The acquisition of Lawrence + Memorial health by the Yale New Haven Health Services Corporation is a pivotal opportunity for stemming the growth of monopoly in Connecticut’s health care market and limiting the ill effects of consolidation,” they said in a report in December. A coalition of consumer, healthcare, civil rights groups and unions that include AFT-Connecticut and UNITE-HERE was granted intervenor status in July, a month after it made the request. The agency says the hospitals have “satisfactory demonstrated” the affiliation would not result in any consolidation affecting cost or access to care. Chris McClure, a spokesman for Malloy, said approval is consistent with the administration’s goal for health care — to balance financially stable hospitals against the need for affordable quality care.